According to Vietnam Craft Bia, drinking craft beer the right way requires us to take an extra moment to savor the flavor. If it’s craft beer in your glass, you are doing both the brewer and yourself a disservice by drinking it without a second thought. Take a moment to enjoy the experience, as craft beer excites much more than just your sense of taste. 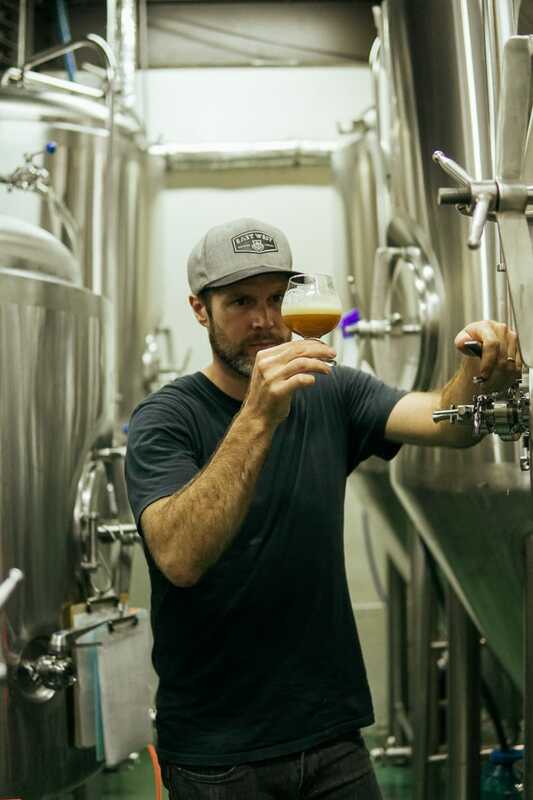 In this article we work with the experts to make a case for taste: a reason to stop and think about how you’ll drink your next craft beer pour. 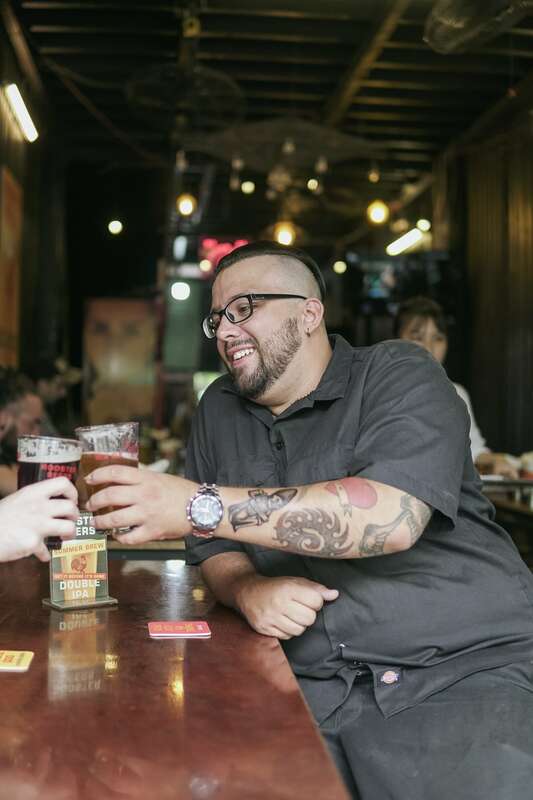 So pour a glass of your favorite craft brew as Vietnam Craft Bia shares with you a five-step guide to drinking craft beer. Not all glasses are created equal. And besides selecting the right size, you should consider the shape of the glass too. 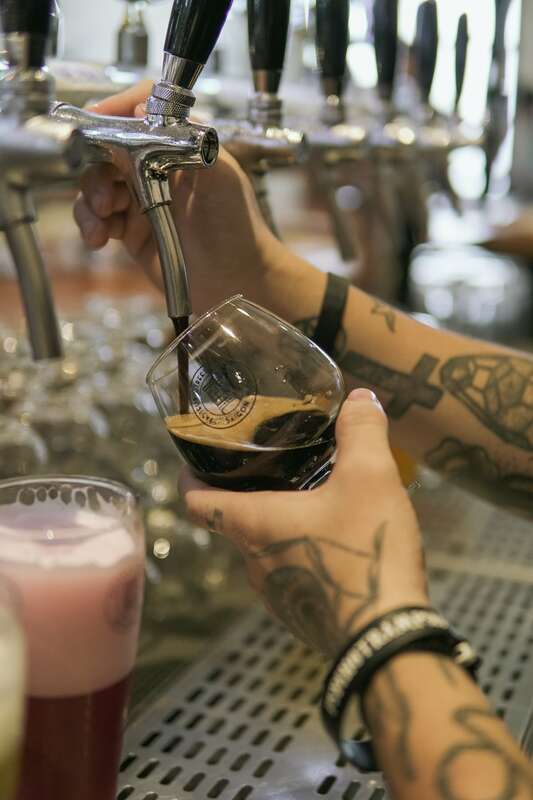 Certain shapes will keep your beer cooler longer, while vessels like tulip glasses are designed to retain aromas, and others are made solely to enhance the visual appeal of craft beer. Craft beer glasses come in many different shapes and sizes. We first taste with our eyes, and presentation is everything. Although there’s much to discuss about proper glassware, for now, all you need to know is that it’s important to always pour your beer into a glass, even if it was served in a can or bottle. When you pour your beer into a glass you can analyze the color and thickness, smell each recipe’s unique aromatics, and most importantly, look like you know what you’re doing. Stop and take a moment to admire your freshly poured beer. Consider the color, notice the foamy head (or lack of, depending on style), check out the clarity (or cloudiness), and think about how beautiful craft beer looks. Take the time to inspect freshly poured beer for color, foam, and clarity. When you understand how different colors of beer have different tastes, you will be able to look at a beer and have a better idea of how it will taste. More often than not, the lighter the color, the lighter the taste—the darker the beer, the heavier it will mostly likely taste. Aroma is integral to taste. Most of what we perceive as taste is actually what we are smelling from inside our mouth. After you’ve selected your beer and poured it in the glass, the next step is to stick your nose in there and take in a nice big whiff. Be sure to give the beer a bit of a swirl to stir up the liquids and get some of that bubbly foam back into your glass. When this occurs, the beer releases more of its aromatic gases. First, smell from a distance, then get as close as you can and inhale deeply. Depending on the ingredients and style of beer, odds are you will come across a range of both familiar and unfamiliar smells. Make sure to smell your drink. Drinking craft beer should be up close and personal. Does it smell like bread, citrus, pine, cut grass, flowers, or something else? Beers can contain a complex blend of aromas from the intermingling of the malt, hops and yeast. Beer isn’t typically a beverage for little sips. That’s why beer has traditionally been served in larger vessels like pint glasses, steins, and poured from kegs, casks, and pitchers. Take a big mouthful and let the beer wash over your entire tongue, coating all tasting surfaces and activating all your taste buds at once. Hold the beer in your mouth for a few seconds and let it warm in your mouth, which will release even more flavor as evaporation takes place. 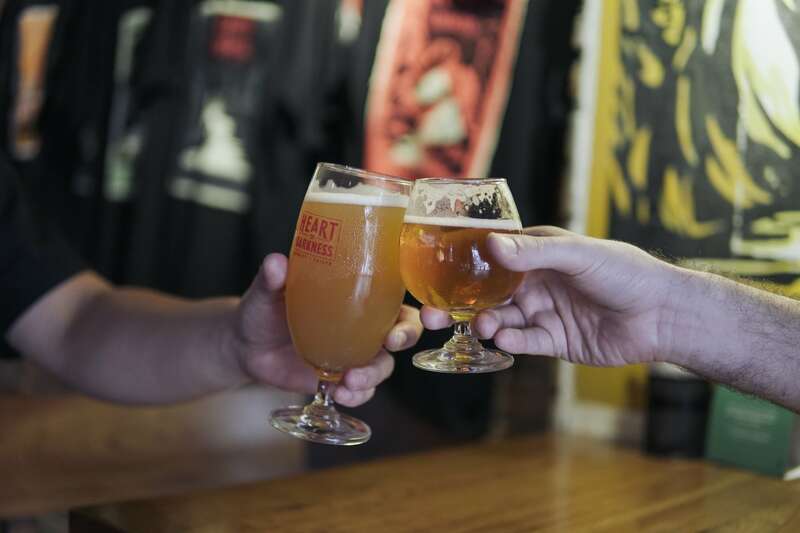 Though beer is traditionally served in large glasses, smaller vessels allow for a better tasting experience. Notice how the flavor changes over a few seconds and pay attention to the beginning. Sweetness is often the first taste picked up. Next, herbal or flowery tastes often come next, and the finish which often leaves lingering bitterness or citrus notes. Not so much a “step” as a suggestion. We recommend finish tasting one beer before moving on to another. When you change styles during the same session, taste residues from other recipes may confuse your taste buds. Take a drink of water before you change craft beer styles in order to keep your palate cleansed. Vietnam sports a booming craft beer industry. Indulge yourself to the unique offerings at your local brewery. 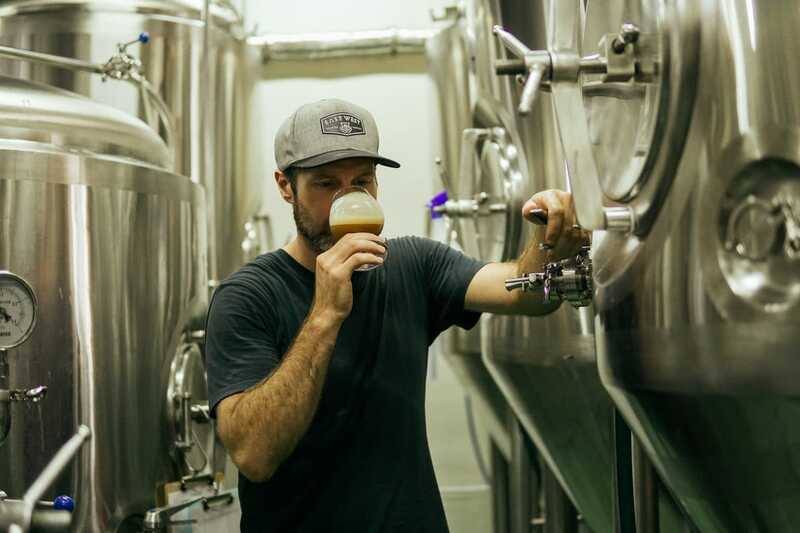 Support your local craft brewery, always try new brews, drink mindfully and responsibly, and check out our list of eight local craft breweries to try in Vietnam.